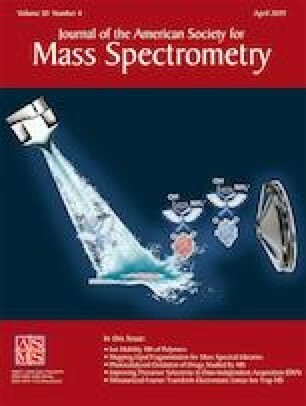 In this paper, drug–drug chemical interactions between two different aromatic compounds were studied by mass spectrometry. Specifically, we examined non-covalent complexes (NCX) between paclitaxel, a chemotherapeutic compound, and medications widely used in palliative care for depression, psychosis, and anxiety. It is unknown whether psychotropic medications directly interact with paclitaxel. Here, we use a simple and rapid electrospray ionization mass spectrometry in vitro assay, which has been predictive in the case of neuropeptides, to measure the relative strength of non-covalent interactions. This chemical interaction is most likely due to the overlap of aromatic rings of π-orbitals between paclitaxel and five commonly used medications: diazepam, clonozepam, sertraline, fluoxetine, and haloperidol. Molecular modeling illustrates that differences in the stability of the NCXs are likely due to the distance between the aromatic rings present in both the paclitaxel and antidepressant medications. The authors acknowledge Dr. Lorenzo Leggio, Dr. Michelle Leff, Dr. Gail Seabold, and Dr. J. Albert Schultz for their comments and Dr. Martha Vestling for her critical insight. This work was supported by the Intramural Research Program of the National Institute on Drug Abuse, NIH. The authors declare that they have no competing interests.